Included are; 12/06, 3/07, 4/07, 7/07, 8/07, 2/08, 7/08, 11/08, 10/09, 1.11, and 10/12. See the pictures for condition. Check out our other magazines. 3 years & up. Simple, yet creative fun! Sort the nuts and bolts by color or build with multiple colors in one structure. Made with quality hardwood and painted with non-toxic paints. Includes 38 large nuts and bolts and a sturdy carrying case. 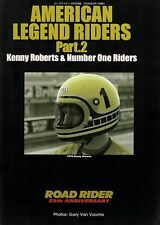 Kenny Roberts & No.1 Riders. Gary Nixon & Kenny Roberts. Kenny Roberts & Number One Riders. 1974 Kenny Roberts. #73 Kel Carruthers #80 Kenny Roberts #21 Gary Fisher. 1976 Kenny Roberts YAMAHA. Kenny Roberts [OW]. 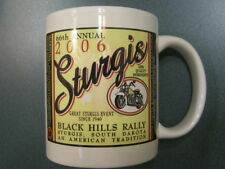 Vintage Sturgis Black Hills Rally 2006 Ceramic Coffee Mug RARE. 11 Years old but never used. Rare and irreplaceable. Davidson Product! familiar Harley words & phrases! Harley-Davidson Motorcycles! Year 2006 Calendar! Inside calendar is. Calendar is out of date, but has. Cleveland, OH. Manufactured: DateWorks. Length: 29" from back collar seam to bottom hem edge. Chest: 24" from underarm seam to underarm seam. Material: 100% Cotton. 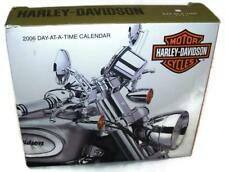 2006 EASY RIDERS MAGAZINE 35th Anniversay 8 MORE 2005 & 2006 Editions, NINE (x9) TOTAL. SEE Pic's, Issues Include: July 2005, August 2005, September 2005, October 2005 & November 2005, plus January 2006, February 2006, May 2006 & JUNE 2006- '1971-2006' 35th ANNIVERSARY EDITION, all with CENTERTFOLDS Included. Harley Davidson Thunder Row 1000pc Puzzle FX Schmid 27x20 No. 78214 *NEW*.